Clopay is set to woo builders at next week’s International Builder’s Show in Las Vegas. 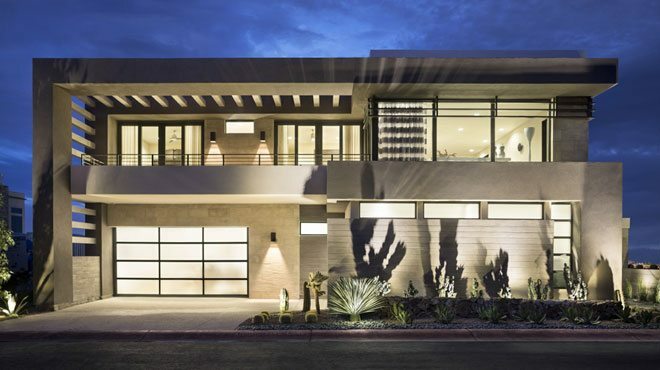 Their new garage door designs are absolutely stunning and will change the way you think a garage door can look. If you are a fan of mid-century modern and contemporary home design, then you will love these new doors which also include a number of high-tech features. If you can’t make it to The New American Home, you can view their latest models on the trade show floor (booth #C1062). 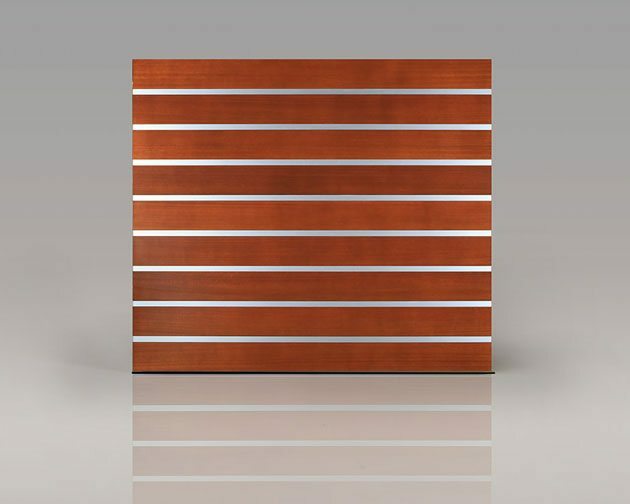 Clopay will showcase their custom capabilities with new contemporary designs manufactured in wood and steel. 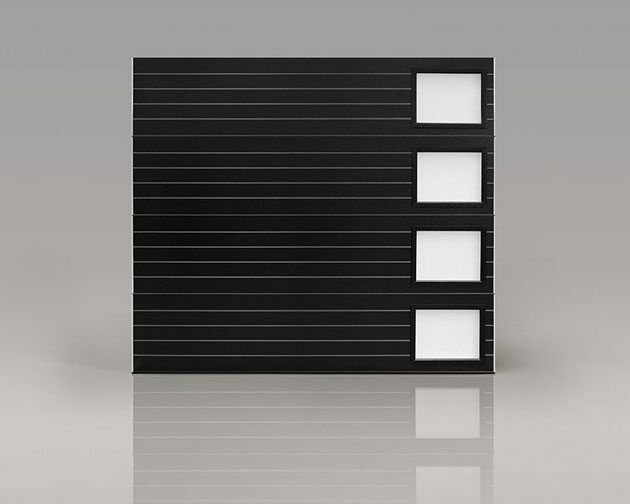 New products include the Model 9205 black ribbed panel contemporary door. Painting a steel door black used to be a no-no, but Clopay’s thermal reflective paint technology reduces surface temperatures and heat absorption. The 9205 features a three-layer insulated construction with optional Intellicore® insulation, providing an 18.4 R-value, and Clopay’s WindCode® Storm-Ready® reinforcement for coastal and high wind regions. Decorative windows in long or short panel designs are also offered. They also have a contemporary black entry door to compliment the modern black garage door with frosted glass. 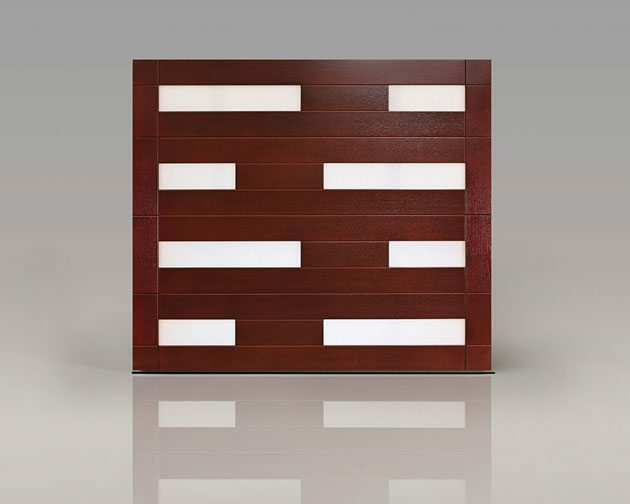 Clopay is also spotlighting unique custom wood garage door designs. 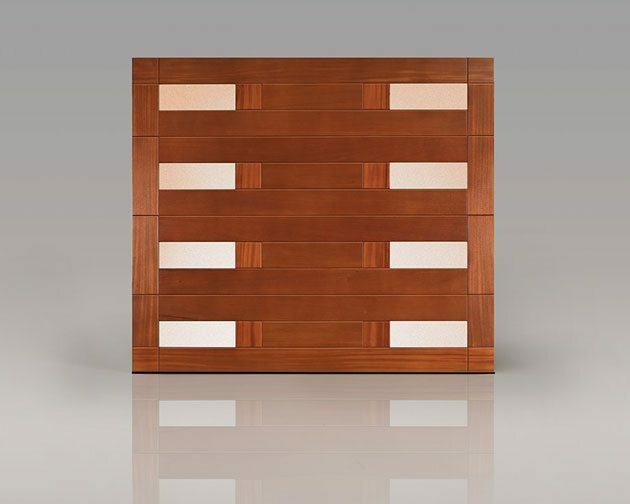 The company has manufactured natural wood garage doors since 1964. Architects and custom builders often choose wood because it gives them the flexibility to integrate the garage door design into their vision. 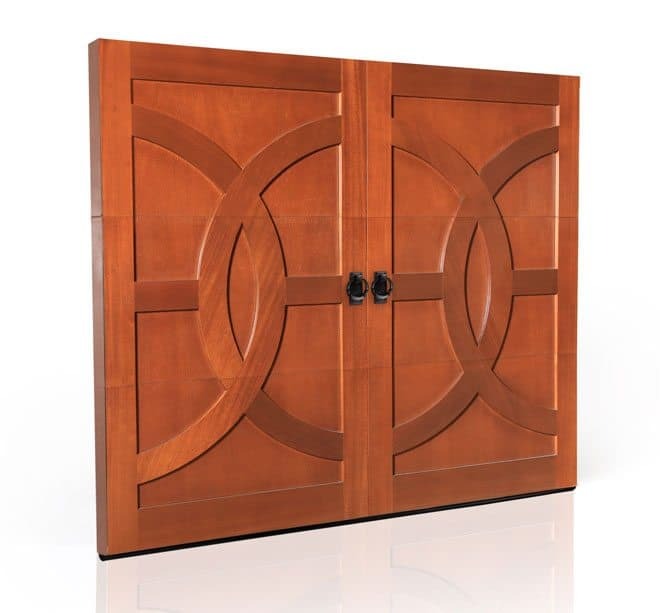 Clopay’s in-house craftsmen engineer each custom wood door to specifications and can assist building professionals in selecting and procuring the best wood species for the project. We’ve seen this in person during our Clopay factory tour. Visit ClopayDoor.com for more information.